The stakes are high for Italy ahead of the general elections on 4 March. The country runs the risk of departing from basic European values such as the rule of law, candidate Alberto Alemanno told EURACTIV. 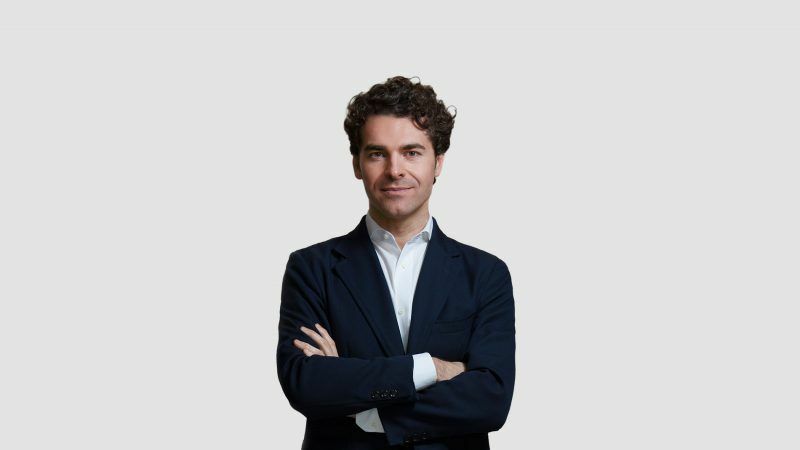 Alberto Alemanno is an academic and EU activist. He is known for his work with the European Union both as an academic and activist. He is the founder of The Good Lobby, a civic start up fostering a new generation of European citizens. Alemanno is currently the lead candidate for the Italian Senate in the +Europa list, launched by former EU Commissioner Emma Bonino, in the European circumscription. Alemanno spoke to EURACTIV’s editor-in-chief Daniela Vincenti. Why did you decide to run in the Italian elections? First, a sense of urgency. The forthcoming Italian elections dramatically denote a deep and rapid erosion of the political, economic and societal system that made Italy one of the most successful Western countries over the last 40 years. Today, all that I stand for – equal opportunities, pluralism and the scientific method as a means for social progress – is threatened in my country of origin. As someone who has been studying, embodying and popularising the importance of those values within an integrated Europe over the last twenty years, to sit and watch is no longer an option. Unless more Italians proactively engage with the political system, we run the risk of becoming yet another European country that departs from basic European values such as the rule of law. All polls suggest that the stakes are high. Together with other millions of European citizens, I call Europe home and am ready to fight to defend it starting from my own country. You have chosen to run aside Emma Bonino on her list +Europa, at a time when Europe is not really gathering much consensus in Italian public opinion. How are you planning to convince the voters of the added value of the EU? Over the last 20 years, Italian politicians – both from the right (Berlusconi) and the left (Renzi) – have been using Europe as a scapegoat for all what was not going well in the country. No surprise today Italians are not only the most distrustful of the EU but also the most illiterate when it comes to their understanding of EU added value to their daily lives. Yet Italy and its people have benefited enormously from being part of the European project. To set up a party called More Europe is not only a reminder of this forgotten reality but is also an attempt at getting the record straight in a country that appears particularly uninformed when it comes to the EU. Europe is more than a set of institutions. It is a multiplier of opportunities: 27 chances – as opposed to one – to find a job, buy a house and meet a partner. That’s the Europe we champion and want to improve. As an academic studying but also practising Europe every single day over the last 20 years, I often feel part of a protected species of European citizens – we are the 3% of the EU population – who lives in a different country than the one he was born. Yet there are millions – around 50% of the EU population – who are exposed to at least another EU country either because they travel or have family therein. The campaign soured with the shooting targeting migrants, which has triggered a blame game. How to make sure that the campaign remains constructive, rather than destructive? This is the first Italian electoral campaign ever that has at its centre the European Union. Due to its polarising effect, Europe is no longer a taboo subject, but a key, defining issue for virtually every political force. Despite being dramatically little informed, I see the ongoing debate as an opportunity for the country. If Brexit has told us anything is that the sooner we have such a debate the better. Europe can no longer be presented as something inevitable by the few to the many. To survive, Europe should become a shared project that we deliberately choose as a society. In 2017, French electors faced such a dichotomy and chose to remain an open as opposed to a closed society. Let’s see what future the Italians will pick. Emma Bonino decided to launch her list to defeat the PD. Isn’t this playing to the favour of resurrecting Berlusconi? Più Europa is a young political movement that is borne out of various political families, such as Radicali Italiani, the historical, leading Italian civil rights movement, and the defunct Mario Monti’s Scelta Civica. As such, Più Europa complements – rather than antagonises – the centre-left to which it belongs as a coalition member. Our movement emerges as a reaction to the ambiguous relationship most Italian political parties entertained with the EU. I see Più Europa as a badly-needed novelty in the Italian political landscape, which hopefully will gain its space along the Italian political representation. Yet it is obviously too early to know what will be its weight in a possible coalition – or shadow – government. The polls as of now are giving the centre-right a slight majority. The prospect of having to deal with Mr Berlusconi again could also be deeply unsettling for European policymakers, especially at a time when France’s president Emmanuel Macron and Chancellor Angela Merkel are trying to reboot the EU and push for further integration. If Berlusconi wins, what impact will it have on further integration? On the eve of the vote, the odds to end up with an Italian government led by anti-establishment or event EU sceptic forces are very high. Not only a Centre-right government dominated by the Northern League and led by Mr Berlusconi – who would remain in the shadow due to its conviction – could be an option today, but also a Five Star Movement-led government supported by the Northern League. Against this backdrop, a possible grand coalition between the centre-right and centre-left would be welcomed with great relief by EU leaders, as Emma Bonino recently stated. Any bargain on a greater political union for the eurozone would probably include structural reforms to modernise Italy’s economy — and fiscal discipline. On both counts, there is deep scepticism of Mr Berlusconi’s record. Will there be a growing divide between Italy and the EU with what consequences? I wish we could have such a debate during the Italian elections. Unfortunately, no political party – with the exception of Più Europa con Emma Bonino – seems ready to seriously consider how to modernise Italy’s economy. Our proposal entails capping public spending to bring down Italy’s €2.2 trillion public debt, which has been a taboo subject as candidates rage against austerity policies. Yet this appears the sole responsible attitude to stop asking the next generation to bear the costs of the excesses of the previous one. Unfortunately, this proposal has been effortlessly dismissed as ‘turbo-liberalism’, without understanding that capping the public debt doesn’t equate with stopping public welfare spending. Why can’t a Macron come out of Italy’s political system? Is Calenda the one, maybe? Entry barriers to the Italian political system remain high, definitely higher than in other European countries. As a result, to kick off an entirely new, fresh political movement in Italy appears mission impossible. The circumstances that led Macron to gain power in less than a year are exceptional and can’t be replicated elsewhere. Someone like Renzi could have been a reformist, but unfortunately, he wasted a once-in-a-generation opportunity to revamp the country. In these circumstances, incumbent political parties remain the sole guardians of access to the political system. After a brief, ephemeral primaries fever, it is political leaders who pick their candidates. And that it is true on the left and on the right. Time has come to beautify politics also in Italy by bringing in a new language, faces and cultures so as to regenerate a democratic renewal. That’s our mission, in particular in the European circumscription where we run to represent Italians living across the continent. You run in the European constituency representing Italians residing in Europe. What are the realities of this foreign vote? There are around three million Italians living across European countries, almost half a million more than the previous elections. While most of them do not vote, we have a largely heterogeneous demographic. While we witnessed a growing number of expats living Italy out of choice in the past decades, we’ve most recently seen hundreds of thousands of qualified or less skilled Italians leaving Italy to find jobs across Europe. But we need to talk to and represent not only these very different demographics but also the significant number of second and third generation migrants who are no longer attached to Italy and predominantly live in Belgium, Germany and Switzerland. Unfortunately, the latter communities seem largely in the hands of few local leaders who control the vote thus favouring incumbent parties against the odds of new entrants like us. Our disruptive proposal to them is to not only act as facilitators in their relationship with their home country via better consular service, but to represent a wider community of transnational and mobile citizens who feel less and less politically represented. Paradoxically, we – the most genuinely ‘European’ citizens – tend to be the least represented both in the host country (where we do not vote in national elections) and the European Parliament (where national as opposed to transnational politicians represent us). This has to change and hopefully, 2019 will the see the emergence of the first genuine transnational parties.